In My Image: Myki comes to V/Line - a user's response. Myki comes to V/Line - a user's response. Public Transport Victoria announced today that Melbourne's hugely overpriced, hugely over deadline, and hugely unpopular ticketing system, myki* will be introduced to some of the state's regional rail networks later this month. Below is the full text of PTV's† announcement, as linked above, and my responses. First of all though, let me tell you what dogs I've got in the fight. 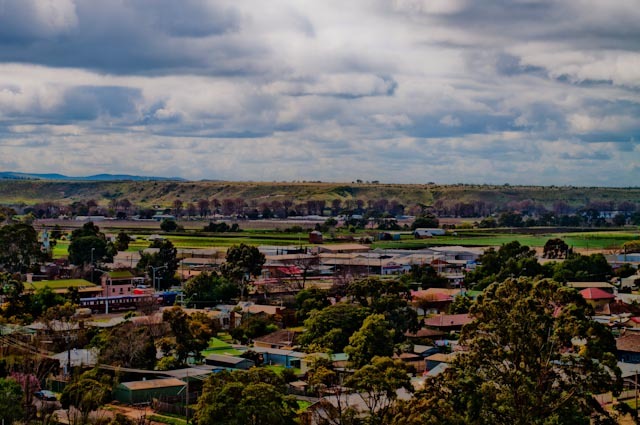 I live in the lovely town of Bacchus Marsh, west of Melbourne and about halfway between Melbourne and Ballarat. I travel regularly by train to Melbourne (about an hour) for work, and to Ballarat (about 40 minutes) to visit family. In the past, when work was more frequent, I have used monthly and weekly tickets for travel to Melbourne. These days I usually just buy a day return ticket whether I'm travelling to Melbourne or to Ballarat. The myki ticketing system will begin a phased introduction to V/Line commuter services, starting with the Seymour Line on 24 June 2013. Public Transport Victoria Director of Customer Services Alan Fedda said myki is replacing most single use and all periodical V/Line tickets on commuter lines. “The V/Line tickets migrating to myki are the Single, Return, Weekly, Monthly, Date-to-Date and Off-peak tickets, all of which can be accessed using myki fare products,” he said. “Passengers currently purchasing Single, Daily and Off-Peak tickets should switch to myki money, while those using Weekly, Monthly or Date-to-Date tickets should switch to myki pass. “From the first day of myki on each V/Line commuter corridor, passengers have the choice of switching to myki or can continue to use V/Line paper tickets until they are phased out over the coming months. The introduction of myki to V/Line commuter services has many benefits for passengers. Mr Fedda said V/Line customers will have more ways to purchase their ticket to travel. “As well as buying and topping up a myki at the ticket window at staffed stations, passengers can also buy and top up their card online at ptv.vic.gov.au, by calling 1800 800 007, from close to 60 retail outlets and myki machines at stations,” he said. None of those retail outlets will be closer to me than my railway station. Online and call centre top ups take 24 hours to go into effect. “Passengers boarding at unstaffed stations can top up their myki before travelling, instead of having to buy a ticket from the conductor. My station is (currently) manned. Buying a ticket from a conductor is not onerous, it is a convenience. Just having a conductor is wonderful; I bet they don't last now. “People using myki money can use auto top up so they will never again have to wait in line to purchase their ticket. That's fine for those who work regularly and know that they will have the money in their account at the right time! I need to ensure I have enough money to buy a ticket before I, you know, buy a ticket. How is this different or better? The switch to myki means V/Line commuter services operate in zones, replacing point-to-point fares with time and zone based travel. V/Line Chief Executive Officer Theo Taifalos said myki delivers a truly integrated ticketing system which can be used across multiple modes and geographical locations. So can my current V/Line ticket. When I go to Melbourne it includes all zone 1 & 2 trains, trams and buses. When I go to Ballarat, it includes all Ballarat City buses. Want to bet this is going to be more expensive now? “V/Line customers can now enjoy the benefits of an automated ticketing system, benefits metropolitan public transport users have enjoyed for many, many years,” he said. But did he manage to say it with a straight face? “Our customers can now use one card to travel seamlessly across much of Victoria, from taking a journey on a regional town bus to connect with a V/Line train to Melbourne, and then onward to suburban areas using a train, tram or bus. No change. If I need to do a suburban school visit (a lot of my contracts are with the Department of Education), my V/Line ticket to Melbourne will cover it. If I want to travel to, say, Port Fairy (I love that place), I just purchase a ticket from Bacchus Marsh to Port Fairy and travel. “While the new zone and time based fares may take a little getting used to, our customers will soon see the benefits of this model. You haven't shown me ANY benefits yet. “Seniors in Bacchus Marsh, for instance, will now be able to travel to Melbourne for free on weekends with their seniors myki, while all passengers will automatically be charged off-peak fares as appropriate,” said Mr Taifalos. If I'm going to be travelling off-peak, I buy an off-peak ticket. Not that it saves very much money. A second, temporary PTV Hub is now open on the ground floor of Southern Cross Station near the myki barriers to assist V/Line customers with any questions they have about making the switch to myki on V/Line commuter services. Please note: Customers on V/Line long distance trains and V/Line coaches will continue to use V/Line paper tickets. If you use V/Line either regularly or occasionally, whether it's from Bacchus Marsh or elsewhere, what do you think of the introduction of myki? Leave a comment with your thoughts or experiences. *The poor old thing is so unloved and unlovable that it doesn't even get an initial capital letter. †Of course, PTV is all in capital letters! As a long-term commuter I have just bought my first ticket on a myki card (and the card, sold separately). There is one advantage, which was not mentioned. I no longer have to beg a railway employee to open a barricade for me so I can get off at my usual station. Or at Flinders St, or Spencer St. The down side, as others have noted is that the card interferes with my other 'prox' card. My main gripe, however, is with the reader. The display flashes the information so quickly that I have not yet been able to read it. Then I went to the web-site to check the status of my new card. According to that I had not yet activated it, despite checking on at a country station, having been scanned by a conductor, checking off at Spencer St, then on again for a metro train and then off again! That was yesterday. I am not sure if I hve the strength to try again, but I would like to know when the 70 day pass I bought expires.